A high quality polyfabric designed for heavy duty industrial and agricultural applications. Landmark is an environmental alternative to PVC that provides excellent mechanical performance at half the weight of PVC, and is designed for industrial and agricultural applications. Year on year, our Landmark fabric protects millions of dollars of grain. 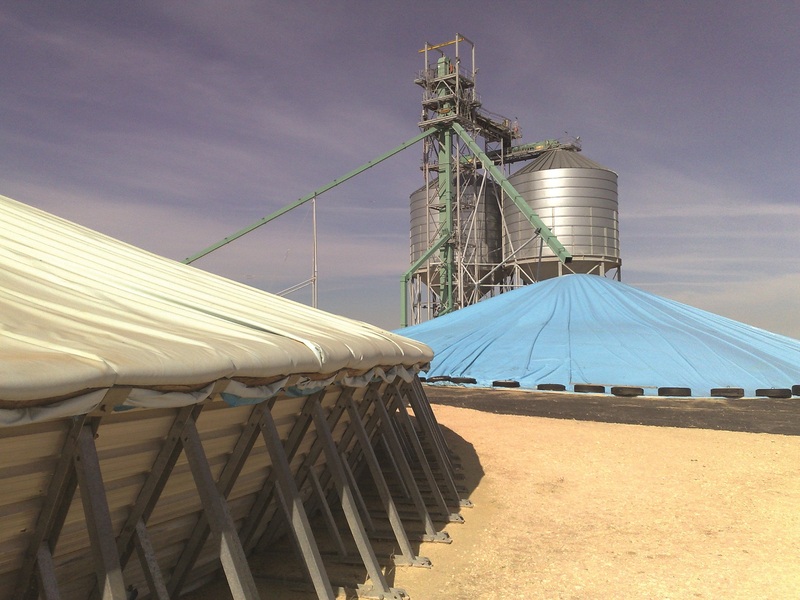 Landmark® is the product of choice for tarpaulins and bulk grain covers, and myriad other uses in the agricultural sector and beyond. It has excellent 'lay flat' characteristics and superior resistance to flex cracking.